Blurred vision is a very frustrating problem that affects countless people around the world. Fortunately, the opportunity to correct the eyesight of many patients is within reach. Thanks to the creation of new and improved procedures and techniques, we can quickly and safely transform the way that we see the world—literally. With so many different types of optical treatments to choose from, it can be difficult to determine which procedures can benefit you the most. Two common surgeries which can help address vision problems and enable you to see more clearly, are known as a refractive lens exchange and LASIK. Also often referred to as lens replacement surgery, refractive lens exchange is a procedure which involves removing the natural lens of the eye and replacing it with an artificial alternative. This artificial lens is called an intraocular lens or IOL and is designed to correct your refractive eye error and sharpen the focus of your vision. These improvements can reduce or completely eliminate your need for prescription glasses. Who is a suitable candidate for refractive lens exchange? Refractive lens exchange is normally recommended for patients over the age of 45 who suffer from age-related sight loss, known as presbyopia, and who are otherwise not suitable for laser vision correction procedures such as PRK or LASIK. Presbyopia occurs when the natural elasticity of the eye reduces, causing light to focus behind rather than on the retina, and as a result, the patient becomes far-sighted. This means it is much harder to focus on nearby objects such as a book or magazine. Presbyopia typically first becomes noticeable around the age of 40. However, if you are younger than this and severely far-sighted (hyperopia), you may still be considered a good candidate for refractive lens exchange. Most people have heard of LASIK even if they don’t fully understand what it is. LASIK stands for laser-assisted in situ keratomileusis. It is a procedure whereby laser technology is used to reshape the cornea so that refractive vision errors can be corrected. 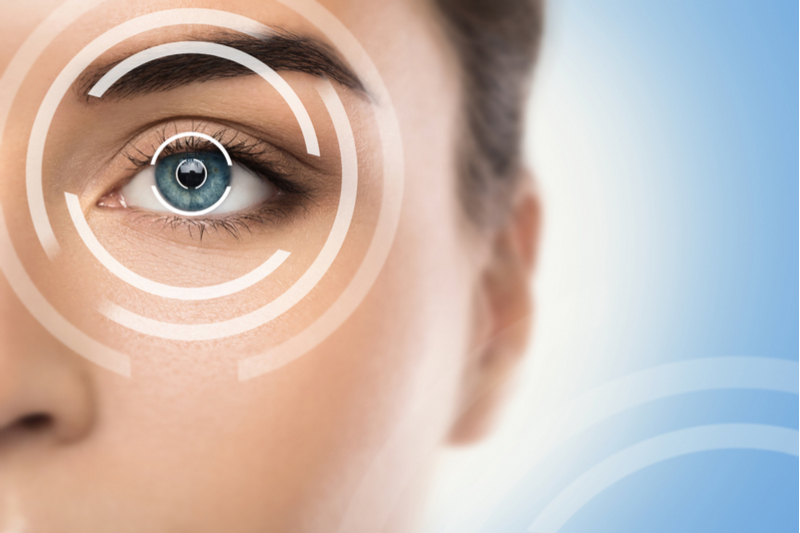 Images of your eye are taken and used to determine what reshaping is needed to correct your refractive eye problems. The cornea is then reshaped using the laser. The process is short, painless and highly successful. Who is a suitable candidate for LASIK? LASIK is most often used to correct myopia, also known as near-sightedness. This is where a patient can see objects near them but struggle to see things that are further away, such as road signs. Myopia is the most common refractive error in the United States affecting more than 10 million Americans. Our increasing reliance on screens is believed to be a factor towards growing numbers of people diagnosed with the condition. However, in addition to myopia, LASIK can also be used to treat presbyopia. This procedure is known as monovision LASIK and differs slightly from conventional LASIK. This is because while it fully corrects the distance vision of your more dominant eye, it also intentionally makes the other eye mildly near-sighted. The reason for doing this is because the dominant eye enables you to see clearly at a distance, and the non-dominant eye sharpens your near-sighted vision so that you have the benefit of dual improvement. Which is right for me, a refractive lens exchange or LASIK? Every patient is unique and must have their suitability for any procedure or treatment assessed by a qualified ophthalmologist on a case-by -case basis. What is right for one patient may not necessarily be right for another. If you have additional questions about refractive lens exchanges or LASIK, schedule a FREE LASIK evaluation to discuss which procedure may be right for you! Give us a call at 913.829.5111 to schedule an appointment at one of our offices in Olathe or Leawood today.